How NOT to look after your sleeping mat: this person obviously loves fixing punctures! There are various types of sleeping mats with different methods of inflation. Some are self-inflating – such as mats within our Thermarest range – while other mats require a pump to inflate them, or they may be inflated by mouth. For example, some mats within our Exped range have a pump that is actually built into the mat itself. It’s important to follow the inflation instructions provided by the manufacturer. Inflating and deflating your mat inside your tent will limit your mat’s exposure to potential punctures. If you’re leaving your mat set up in your tent for a period of time, remember to partially deflate it, since heat may cause your mat to expand, thereby potentially damaging the internal structure. We recommend cleaning your mat with warm water and a mild detergent (no bleach!). Using a rag or soft sponge, carefully clean the mat. Make sure all valves are fully closed. Rinse well. The mat should air dry after cleaning. Do NOT put your mat inside a washing machine or dryer. 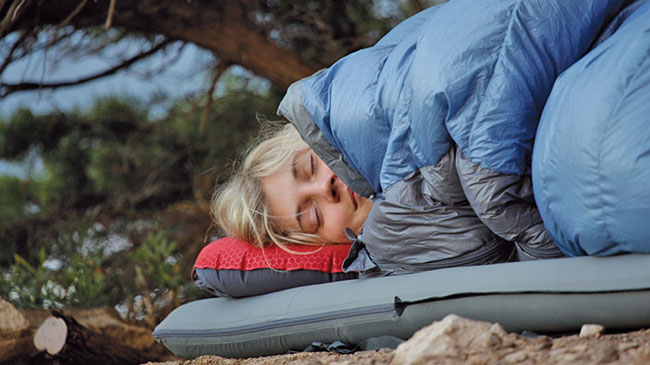 Just like any other piece of gear, your sleeping mat will reward you with years of service if you take good care of it. Firstly, ensure your mat is completely dry before storing it, to avoid mildew. You need a reasonably cool storage place – excessive heat can destroy the lamination that holds the mat together – in a wardrobe or under the bed is ideal. The best way to store your sleeping mat is unrolled, with the valve open. This allows the fill to breathe and maintain its loft and warmth for years to come. See our range of sleeping mats, here.